Growing up in a traditional Peranakan household, Kwek-Perroy Li Choo was exposed to the societal expectations for both the men and women in her family. Instead of following the conventional path of the women before her, she chose to forge her own. 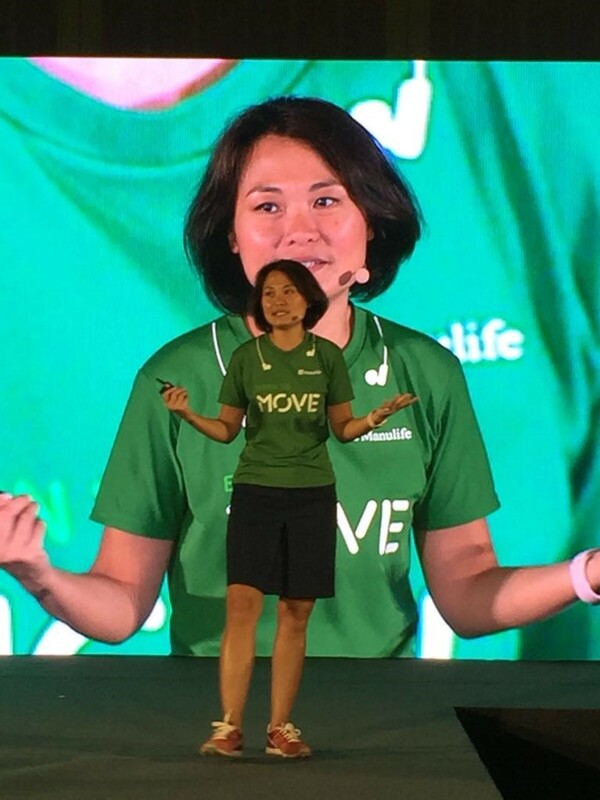 Li Choo created opportunities for herself; by enabling herself, she eventually landed the position of Manulife’s Chief Customer Officer and Chief Transformation Officer respectively. In her roles, she continues to strive to eliminate gender biases and discrimination. The New Savvy: Tell us more about your story/background. How have your past experiences led you to become who you are today? 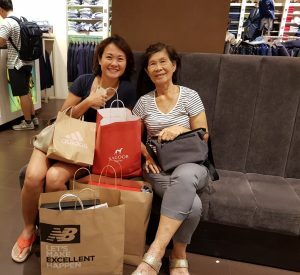 Li Choo: I grew up in a very traditional Peranakan family where none of the married women worked in an office or corporate environment – their jobs were to run the household. When I was growing up, I always noticed the women in my household being multi-taskers, very detail-oriented, having an opinion about almost everything and making most of the decisions at home. The women would always be busy as there would always be something happening at home – be it festive activities, family gatherings, celebratory meals. It was always my mom, grandmothers and aunts who would do all the work, from running errands, doing up the house, or cooking up a storm in the kitchen. As such, I grew up surrounded by women were doing everything they can to keep a family happy, putting delicious food on the table – and being wonderful at that. That’s always led me to think women were extremely capable human beings who kept things going. My very first school was an all-girls school; while I was there, I had superb teachers who instilled in us the importance of seeking excellence in everything we do. And that’s stuck with me even till now – the notion that women are capable at everything that we have a chance to try, and when we do, we should always strive to be the very best that we can be at it. The New Savvy: Could you describe one of your typical workdays? Li Choo: I typically wake up at 6:00 am. The first thing I do is check my calendar for the day, simply because at Manulife Singapore we have a dress-for-the-day work policy, so that determines if I can wear casuals to work for the day, which is something I prefer. I take my breakfast and then on alternate weeks (my husband and I take turns) I send my son to school before heading to work. My days are usually filled with meetings. I have lunch meetings where possible if the other parties are comfortable with meeting over lunch. I tend to reserve two hours at the end of the day for people who want to meet me or to have ad-hoc discussions and/or meetings. Personally, I prefer to clear as much work as I can during working hours so that I can go home early to my kids, rather than to stay late at work. I bring work home systematically; I get to work again after dinner when my kids are in bed. The New Savvy: What skills are required in your position on a day-to-day basis? Li Choo: Listening and people-influencing skills. The New Savvy: Which parts of your job do you find most challenging? Li Choo: Dealing with pessimists, and people who are not open to new ways of doing things. I believe everything can be improved for the better at work and tend to be very persistent, especially when dealing with such people. I’ll counter the challenge by trying to show them small successes so that they’ll be convinced by the continuous improvements and results they see over time. I especially like the “see I told you so” type of moments. The New Savvy: What do you find most enjoyable? 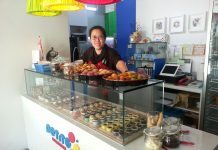 Li Choo: Working with my team, seeing them grow in their jobs and achieving success in their respective areas of work. The New Savvy: What do you think corporations can do to help the minorities of different genders and religions develop their careers within organizations? Not to have any pre-conceived notions of anything/ideas of people. To be truly objective in letting people try out new things. Letting people put up their hands for things they may be interested in. There may be a need to show the way to or even prompting the less courageous to go ahead and try, even if they may be afraid or not confident of taking something up. The New Savvy: What are the top three common diversity and inclusion mistakes that you have seen made by companies in Asia? Li Choo: First and foremost, the fear of talking openly about LGBTQ matters. Next is thinking that gender diversity/gender bias is a topic that’s limited only to women – people tend to see women as the weaker gender and that they are more likely to need help, while the stereotype with men is that they are generally able to take care of themselves, and that’s fine. Lastly, companies not putting much effort to break through racial stereotypes, which are still prevalent in today’s society. The New Savvy: How do you define success and how do you measure up to your own definition? The New Savvy: What is the most useful tip you received/ follow when you manage your money? Li Choo: Don’t spend beyond your means. The New Savvy: Do you invest? Why or Why Not? Li Choo: Yes, and very conservatively. Actually, my husband is the exact opposite of me in this regard. Between him and me, we have a good balance. The New Savvy: Any advice for women looking to break gender stereotypes and advance their careers? Li Choo: Don’t be afraid to try, and to speak up. The worst answer you can get is ‘no’. The New Savvy: Do you believe in the traditional roles of men and women? 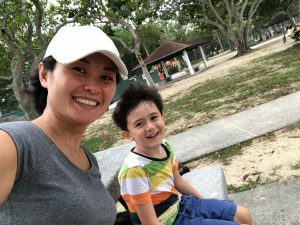 Li Choo: I think we’re naturally attuned (emotionally and physically) to what we feel needs to be done – women are the ones that bear children and nurse them, so naturally, we’re more emotionally sensitive to how our kids feel and all. Having grown up in a very traditional family, I do believe there is a role for the mother (and women) to play in bringing up kids. In fact, I think that’s a very important role that quite often gets underestimated. Our kids will grow up to play their respective roles in society in the future. How well they play their roles depends to a large extent on how we as mothers have educated and influenced them in their formative years. Having said that, there are clearly increasingly more families where men do take more time with their kids, and it’s a conscious decision made between the couple. There are more men who feel they can take on the so-called “traditional” roles, and there’s nothing wrong with that too. The New Savvy: Which women do you most admire in life? Li Choo: I have a lot of respect and admiration for my mom and my grandmother. They both grew up in the era where their parents did not believe it was important for women to be educated. Despite that, they found their own ways to be resourceful about learning and were/are happy and successful in life. The New Savvy: What is one thing you wish you knew when you were younger? Li Choo: That I should not be afraid to try, even if I’m unsure. The New Savvy: What was one of your most defining moments in life? Li Choo: I have many defining moments in life! At different stages of my life, I’ve always had something that happens to me which made me learn more about myself. The New Savvy: Give us a parting quote! Li Choo: Don’t count on others if you want to be successful in whatever you do – you need to help yourself be the very best version of you. And always learn from people who have gone before you. Experience does matter and allows you to take a quicker route to success. Next articleIs money a feminist issue in Singapore? Anika is currently a student at RMIT University acquiring a Bachelor's Degree in Professional Communication. She also graduated from Ngee Ann Polytechnic (NP) with a Diploma in Mass Communication. She was a writer for npTribune, section editor for HYPE magazine and also the captain of the Touch Football women’s team. 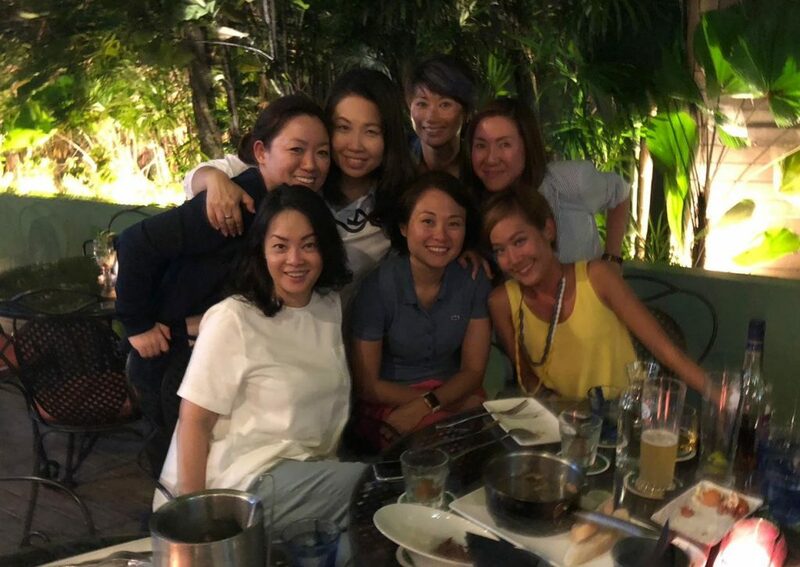 She has gained transferable skills from various industries through her extensive exposure in renowned companies such as Shell, Marina Bay Sands, and Red Bull. Through her passion for literature, Anika participated in Singapore Writers’ Festival 2017 and regularly attends spoken word events. During her free time, Anika likes to do Crossfit, watch Netflix and document everything her Pomeranian puppy Leio does. In the near future, She is looking to further her education and hopefully, one day, become a lawyer.